Every year I give myself a photo challenge. I have been collecting vintage cameras for years. If you want to read about my photographic roots you can check out this post. This year I decided to shoot some of these old cameras. Every month I will shoot at least one roll of film. The idea is that if I can go completely manual and get the most out of one of my vintage cameras, I should get better at getting more out of all the digital bells and whistles on my Olympus OMD. In January I shot this 1936 Rolleiflex Standard. 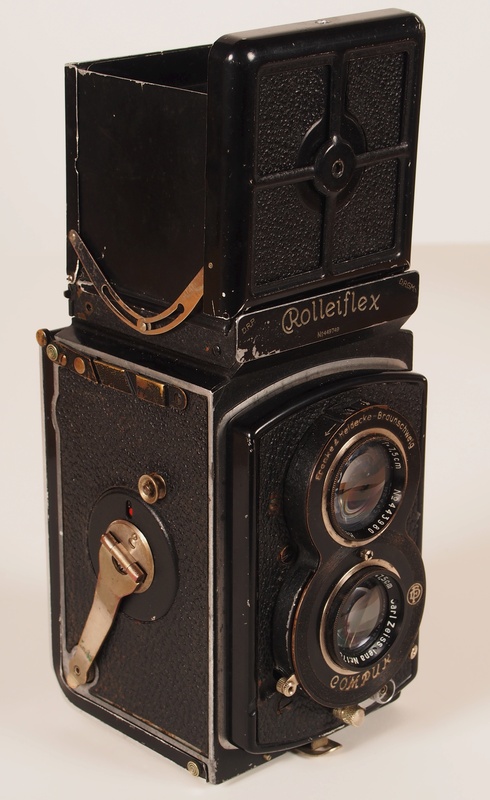 It’s the first model of Rollei’s beloved TLRs. 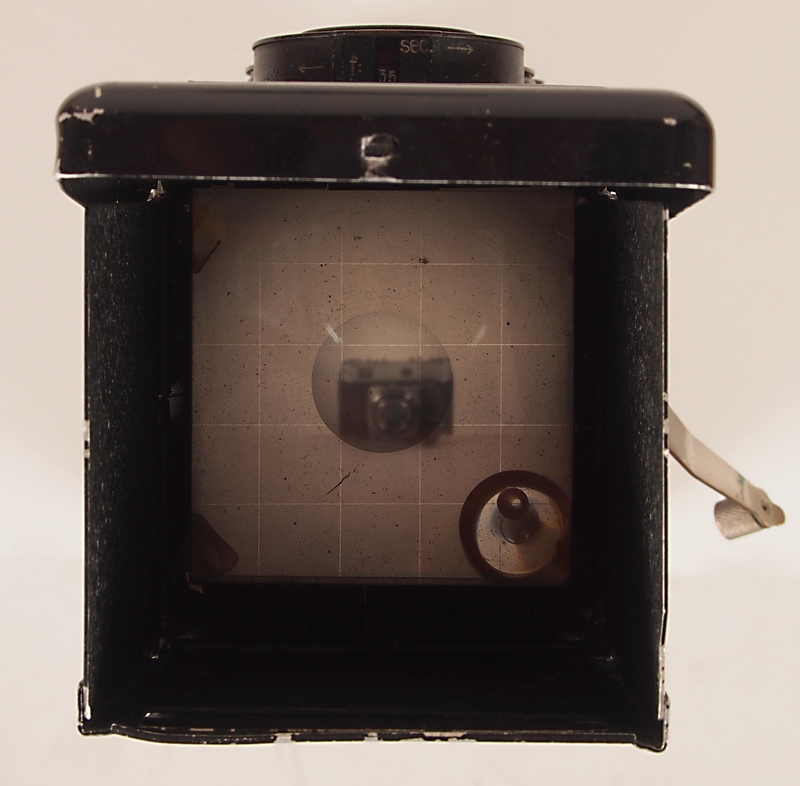 This one has no light meter, no flash attachment, and it’s missing some screws that hold on the frame around the prism. Even though it looks like it has done a lot of living, the shutter snaps cleanly and I hoped that it would still be functional. I should have looked for a YouTube video about loading the film, but decided that since it had only been 30 years since I had seen one that I could do it just fine. I loaded it correctly, but didn’t advance it far enough so I had some shots that were misaligned. So instead of 12 shots I got 5. The good news is – now I know how to load this baby. Looking through the prism you see everything in reverse. This is the 1930’s version of a LCD screen. You are looking through the top lens of the face of the camera – it is matched to the lower lens, the “taking” lens. This is the lens with the shutter. One of the things I missed most was Live View. On a digital camera I get to see what the effect of changing the aperture or shutter speed will be. On the Rollei you just have to make your best guess. I quit shooting film in the mid 90’s so this is a challenge. Here are the shots from the first roll of the year. I shot black & white film – 400 speed (remember having to choose the speed of your film before you knew what you would be shooting?). I shot these mostly with the aperture wide open to see what kind of DOF I could get out of the taking lens. The taking lens is a Tessar 3.5 75mm. I shot this with the aperture closed down for more detail. I shot this because I have seen photos of my house taken in the 20s with dogs on this side. It’s surreal seeing a modern vehicle in a photo like this. This is the bird buffet. The aperture was closed down to see if I could keep the detail in the trees as well as the pergola and feeders. 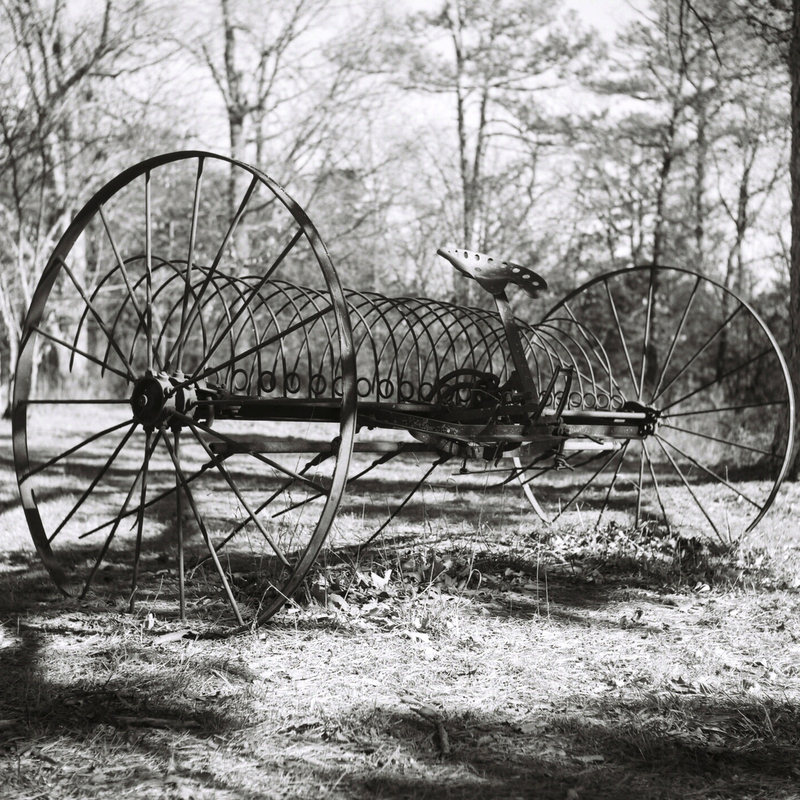 The seat of the hay rake. I shot this wide open – I had two shots of the seat, one closer than this. The closer shot lost the detail in the shadow. Having the aperture wide open made the DOF so shallow that a close shot was impractical. Overall, I’m pretty happy. Knowing I only had 12 exposures made me take my best shot and move on. I only took 2 shots of the same spot. 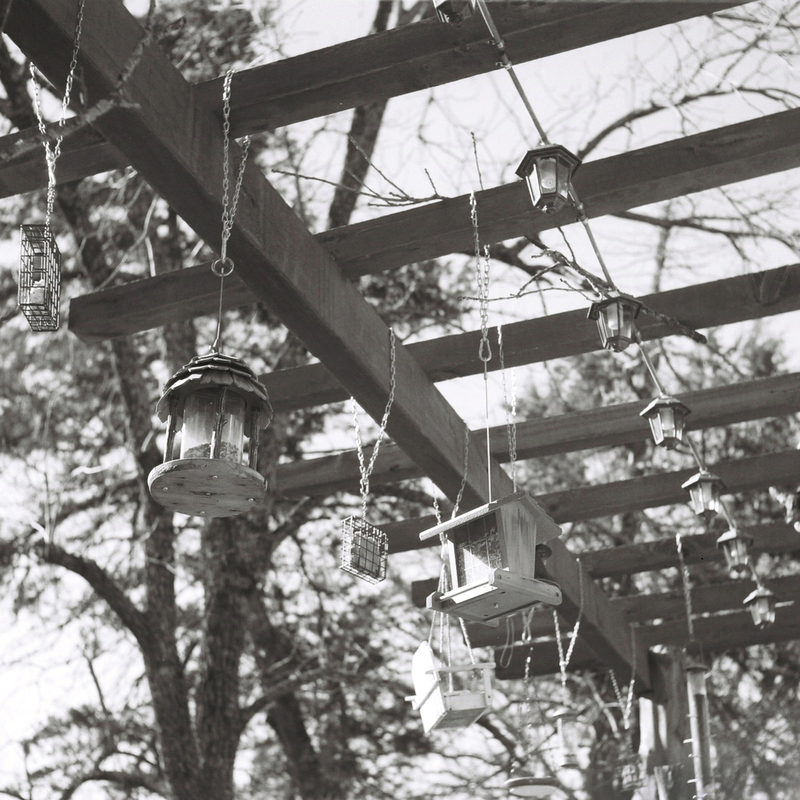 I had hoped to catch a bird in frame when I shot the feeders – It could take several rolls to make a capture like that on the Rollei. Focusing was tough with the prism so far from your eye – I am used to using the viewfinder so this took some getting used to. Still, I LOVED shooting it. Even though it was a bit larger than the size of a pint of half and, it felt “right” in my hands. I like that you could get the sense of it being a sunny day, even with black & white film. I would like to find a Rollei from the 50s with a few more features, but considering that I was sold this one as a “display” camera, I am very happy with it – happy enough that I bought 4 rolls of color film. Next month – Olympus OM 35mm. 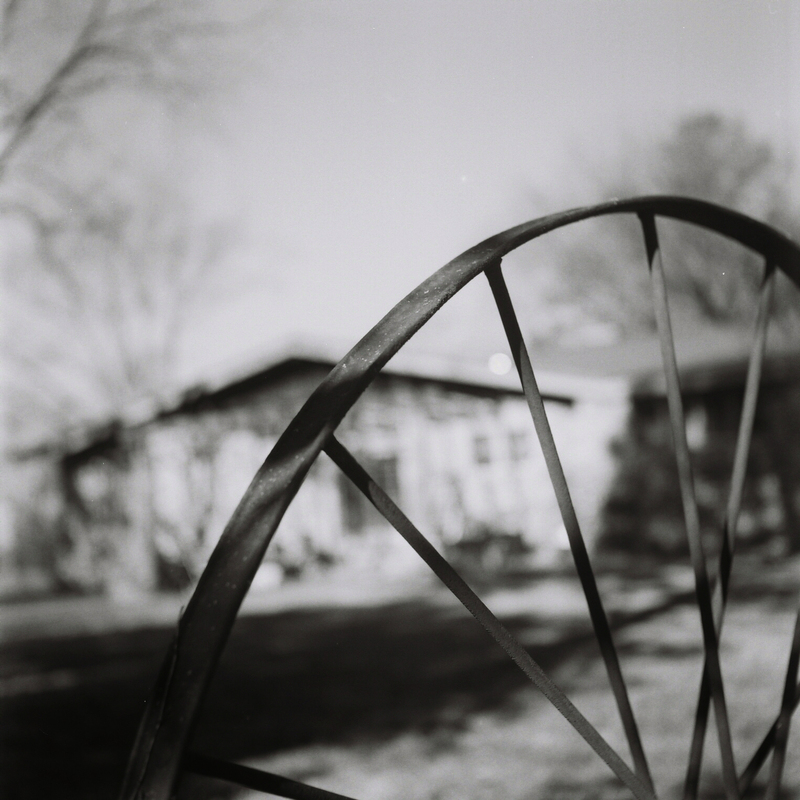 This entry was posted in Film Photography, Ozarks, Photography and tagged Black and White, Film Photography, Ozarks, photography, Rolleiflex, Rolleiflex Standard by artsifrtsy. Bookmark the permalink. Love ’em! Have you ever used Russian cameras? I have one in my garage from the 70s that you have now tempted me to try out. I’m going in clueless, about photography and cameras, and I’ll probably have to donate it to you when my attempts to load the film go awry. Give it a go – it’s about $5-6 for a roll of film and maybe twice that to develop it. It’s worth it to find out if it’s something you like. Great photos. I am curious, what brand of B&W film are you using? 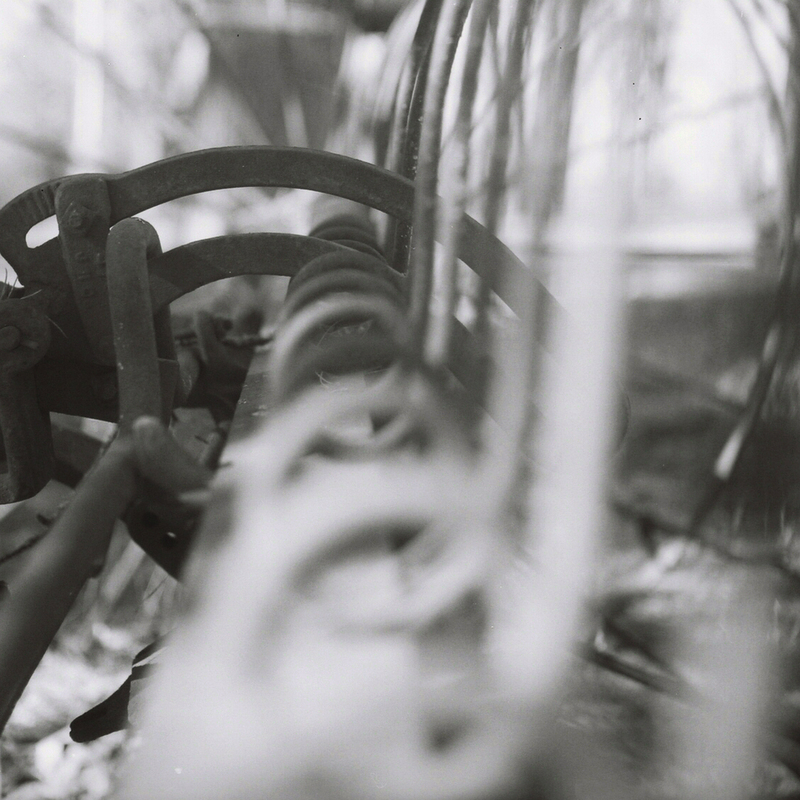 I used to use Kodak T-max with my Rollei, but at the end I was experimenting with Agfa. The T-Max was all I could find locally, but I would like to find some other B&W options. 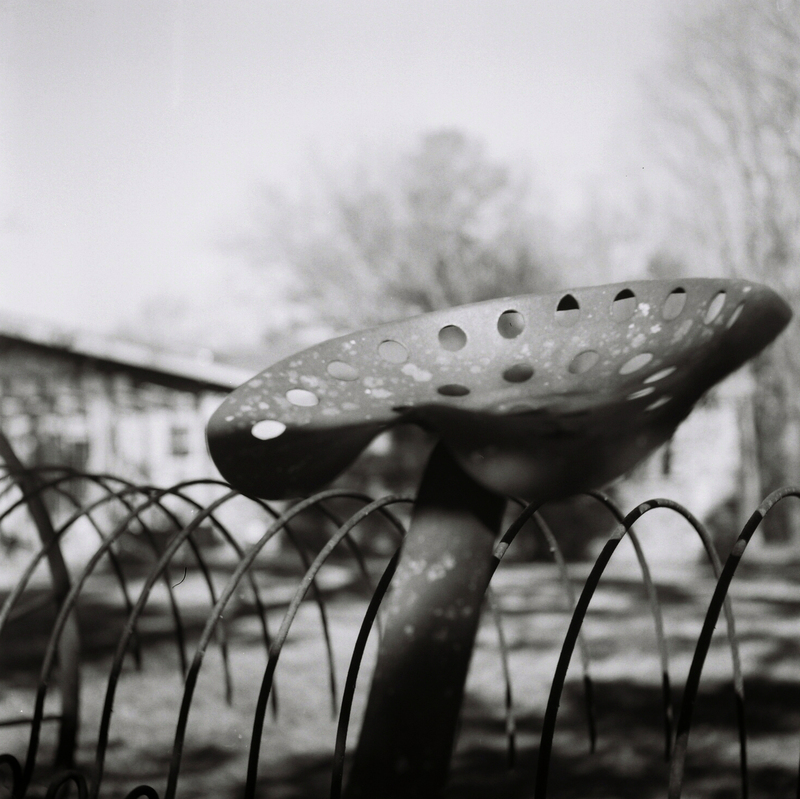 The 3.5 Tessar seems a bit softer than the one I shot as a kid. I was relieved that there were no light leaks. What model do you have? I had the one with the 3.5 Zeiss lens. The 2.8 lens was the unattainable Holy Grail. Yes. I see them online and would love to find one. My mom’s had a light meter too. I shot hers with the aperture more closed and had wonderful sharp shots – I may try a whole roll of shots like that outdoors now that I know that the camera is functional. I love these pictures! My favourite is the one with the dogs. I have always been a fan of black & white…do you have the actual vintage photos of your house with dogs? I have seen several at Mary Janes house and know I have scanned some. I’m going to find them and do a post like Vicki suggested. Wow — I especially like that you have the dog pictures to compare! Seriously cool. Thanks Elyse, I am going to have to find those dog scans and do a post on now and then. Fantastic. I LOVE black and white photos. Excuse my lack of knowledge, what is DOF? Thanks – DOF stands for depth of field – when you have an aperture wide open (low f-stop) it lets you focus on something while either the foreground or background blurs. Thanks Bulldog. I wish I had kept a knot book of settings, I may do that going forward. Fascinating stuff, and the shots aren’t too bad either. 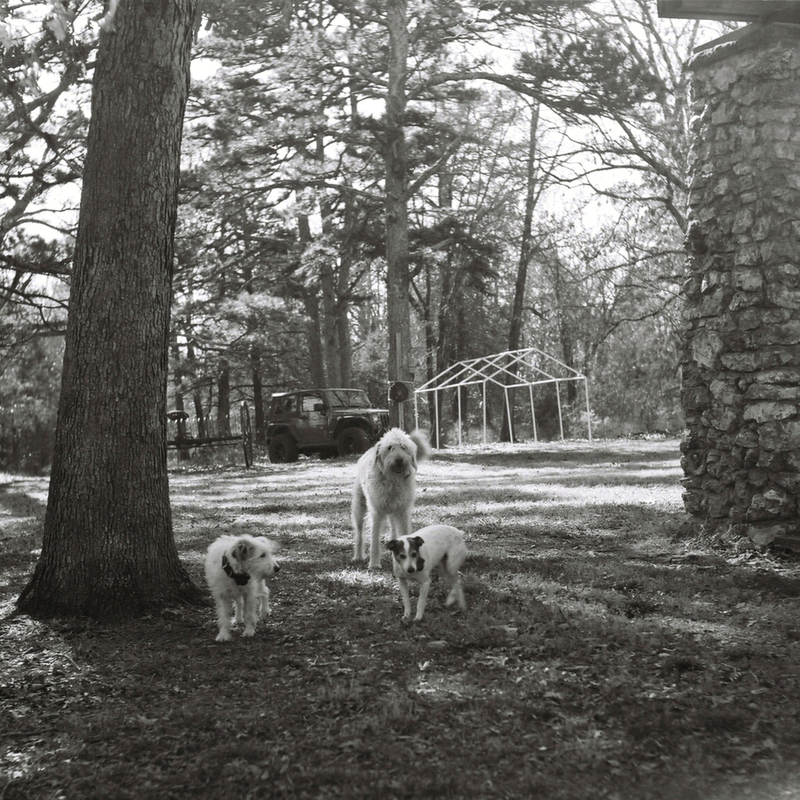 In fact, the shot with the aperture closed down and the dogs shot are great. Could you please put your shot of the dogs beside your house in a post with the old ‘dogs beside your house’ shot- would be fun to see the two together. I’d be like a ‘fish out of water’ trying to work out how to put the film in. ( I did have a camera once which took 35mm film, but it died not long after I left London and came back to Melbourne in 1979). I am going to use a classic 35mm next month. I bought film yesterday. I am going to see if I can gather up the old photos to show the dogs in the yard then and now – that would be a fun post.